VSGeometry is a set of classes to draw geometric shapes commonly used in diagrams, such as axis, vectors, points. 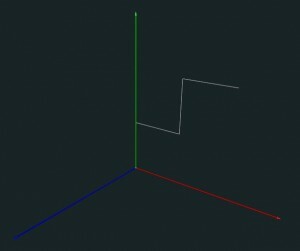 It also draws curves and cubic bezier patches. It was created for academic purposes to create diagrams to include in notes and present in class. All classes are subclass of VSModelLib. VSModelLib provides the common frame to create the VAOs and set the material, such as colors and shaders to use. To render an instance just call the method render. Most classes use an auxiliary class Point3 that is just a convenient way to describe a 3D Cartesian point. The use a class first declare a variable as an instance of the class. Then, we call the method set to create the geometry and store it in VAOs. To render just call the method render from the parent class VSModelLib. 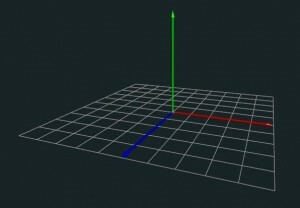 This class can be used to draw the XYZ axis as lines. An example is shown in the figure below. Note that we set the emissive color since lines do not have normals. A point is represented by a sphere. To set a point just provide it’s location and, optionally, the radius of the sphere. An example of its usage is shown in the image below. 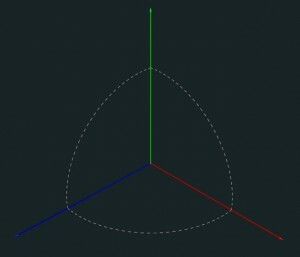 Note that the green point is much larger since it was created with a radius three times the default value. The following code was used to create, set and render the three points. 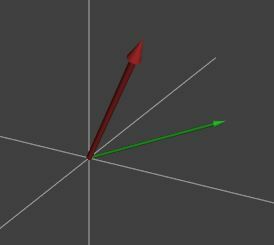 A vector is represented as an arrow (a long cylinder with a cone on the tip) and is defined by its two end points. The radius of the cylinder can be adjusted manually, while the definition of the cone is computed based on the cylinder’s radius. An example is shown in the figure below where the two vectors have different radius. The following code was used to create, set and render the two vector. 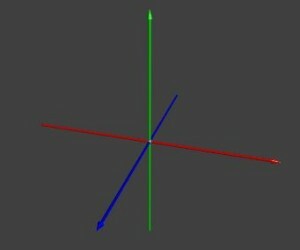 This class is similar to the simple axis class, except that the axis are now graphically represented as vectors, and are colored as follows (X,Y,Z) -> (Red, Green, Blue). The origin is drawn as a white sphere. An example is shown below with the axis covering both positive and negative sides, and only in the first quadrant. Draws a grid in one of the following planes: XY, XZ or YZ. 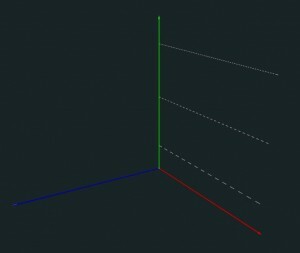 The following image shows an example of a grid in the XZ plane. where Axis is an enum containing the possible grid configurations, i.e. the indication of the vector perpendicular to the grid. 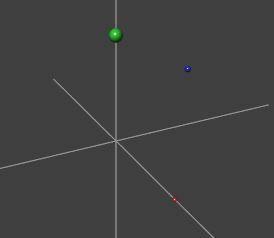 Draws a polyline based on a sequence of points. See the image below for an example. Draws a dashed line between two points. See the image below for examples. 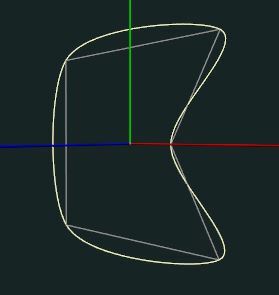 Draws a dashed segment of a circle on the XZ plane. 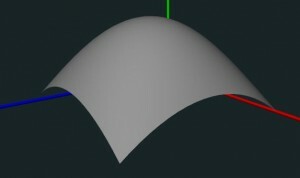 In the image below a rotation is applied to some of the arcs. 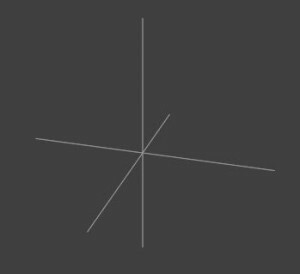 For each set of 4 control points a curve is drawn. 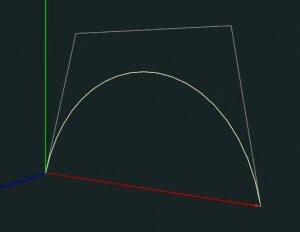 The image bellow shows a Catmull-Rom curve where the control points are used in a loop. 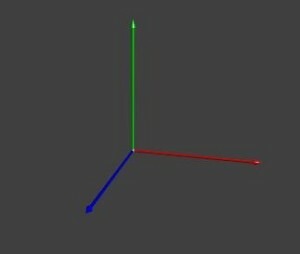 Catmull-Rom curves are drawn first using the first four points, then from the second to the fifth point and so on. Note that the t in methods getPoint and getTangent is a “global” t, i.e., the integer part is used to determine the segment, and the fractional part is where we are inside the curve. Prepares VAOs to draw cubic Bezier patches with tangent and bitangent data. See image below.